SDCC: Wonder Woman 2 Officially Announced By Warner Bros. It was only a matter of time, wasn’t it? Seven weeks have passed since Gal Gadot’s Amazonian graced theatres, and after accumulating a global box office total just shy of $800 million, Warner Bros. has made it official: Wonder Woman 2 is on the way. News comes to us via the studio’s ongoing panel at San Diego Comic-Con, which is also expected to herald new footage from Zack Snyder and Joss Whedon’s Justice League. Of course, those of you who have been keeping pace with Warner’s ever-expanding DCEU will know all too well that Diana Prince is one of six metahumans who come together in the face of a common enemy: Steppenwolf. As for the next standalone outing for Gal Gadot’s hero, all we have right now to go on is a simple logo that was flashed during the start of the studio’s presentation, confirming that the project is indeed in development, which is fantastic if not surprising news. It’s still too early for plot details and the like, but recent rumors have told us that Warner Bros. has earmarked the Cold War for Diana Prince’s next solo adventure. 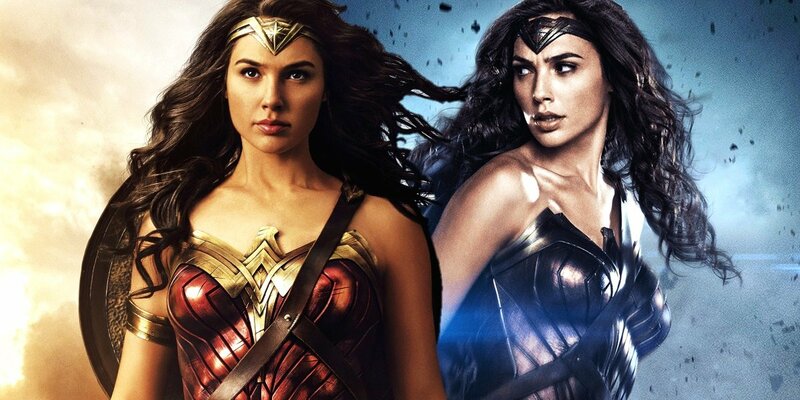 Should this tidbit prove to be true, it’d be a stark departure from the boots-on-the-ground style of filmmaking seen in Wonder Woman, when Gal Gadot’s Amazonian ventured onto the European front – not to mention slogging it through No Man’s Land – in her quest to defeat Ares, but it would align with previous comments from Warner Bros. brass stating that the sequel would take place in the past. Goodbye trench warfare, hello espionage and Cold War subterfuge? Meanwhile, Steve Trevor (Chris Pine), the dashing WWI pilot and love interest to Gal Gadot’s Immortal Warrior, is also set for a return – exactly how he’ll return, though, is another question entirely. Chances are Warner will call upon flashback scenes, but that remains to be seen. Either way, negotiations between the studio and writer-director Patty Jenkins are ongoing, though early signs are certainly positive. Other Wonder Woman 2 tidbits include the possible return of Dr. Poison, the Invisible Jet, and those rumblings of another female lead to rival Gal Gadot’s Diana. Halle Berry, anyone? Wonder Woman launched into theaters early last month to rave reviews, and has since racked up one box office record after another, making Patty Jenkins’ standalone pic the most successful entry into the DCEU domestically. As such, moving ahead with a sequel is a no-brainer for the studio and we’re beyond excited to see where they take the character next.